That’s all I can think of about this book. Yet I give it 5 stars! Ha! I know people like Stoner exist. You have a young man who is, if not happy to work on his family’s farm, he is at least not unhappy. There’s not much doubt that his parents are the same. That their parents were the same as well. Hard workers and not much for complaining. 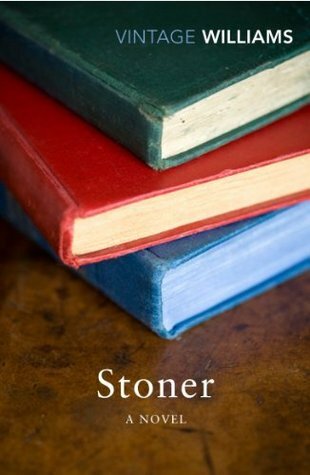 Then Stoner goes off to college and a simple reading of literature changes everything. I found it a bit sad that Stoner couldn’t even imagine a new life until someone said it out loud first. That’s due to my own personal experience. Books have always been what sparked my imagination and desires. Then there is Stoner. Moved as much as he can be and still left for someone else to imagine a different future for him. Then there is his wife. Eyy eyy eyy. How I did not like this woman. But yet again, you see Stoner, more or less resigned to his fate…until once again, someone imagines a different life for him and he suddenly moves ahead and makes a change. The entire novel is like this. Who am I to feel sorry for Stoner? Any disappointment he meets in life he just gets on with it. He doesn’t dwell on it time and time again. He is just resigned to his fate. He doesn’t shake his fist and yell at the Gods. He proves a man strong in his convictions. He doesn’t back down. But nor does he make waves. What makes this book such a compelling read? Was it my desire to finally see Stoner stand up and wave his fists in defiance? Well I certainly hope not, or else I would be well disappointed. 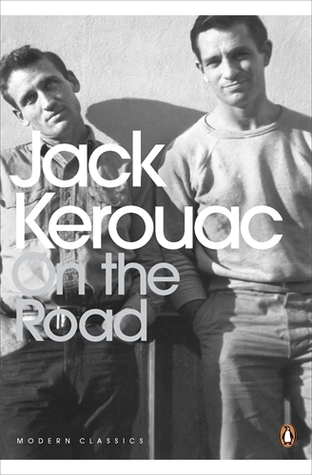 I listened to this book on audio, and the narrator did a superb job with the reading. However, John Williams is an amazing writer. How the hell do you evoke so much emotion from what you do not write as compared to what you do write. Somehow, Williams does exactly this. That is why the narrator is so brilliant as well. Stoner, the narrator and Williams himself leave it to the reader to be outraged and to wave their fists at the Gods, whilst all three of them just simply carry on. If anything we are like the hare, flighty and weaving all about, whilst they are the tortoise that just plods along steady as they go. I have wanted to read this book for about 5 years now. All the while I was angry at myself for not being motivated to actually start it. Now that I’ve read it, I’m even more angry at myself for not having started it sooner. And yet…. This story is one that is so much bigger on the inside of your mind than it appears on the pages of the book…and isn’t that the very best kind? This is one such story…The main character is a hunchbacked lawyer named Matthew Shardlake. He is a devout man and has, I believe, honourable intentions. He is sent by Thomas Cromwell and the King to investigate a murder at a monastery. Shardlake has believed he was fighting on the side of good. However, the more time he spends investigating the murder the more he starts to wrestle with his own moral dilemmas. There are so many things he starts to question about the way things are being handled by Cromwell, a man he has always admired. 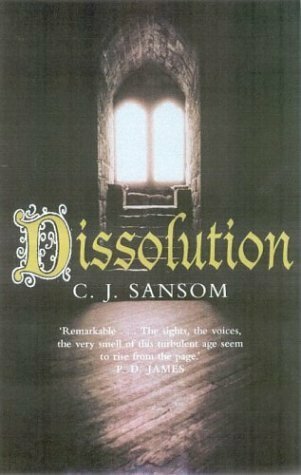 As Shardlake sees the men and women of the monastery as individual people, he questions the side he is on. He starts to see the politics behind the religion and isn’t at all sure where he stands any more..
Shardlake has never had an easy life..he has be a social outcast, if only by his physical deformity..now he must face being an outcast, and perhaps worse, but questioning in his mind the activities of those above him..
What a fun story! I’ve been a historical romance kick lately. When I saw the title of this I knew it was going to be cute. I was so right. 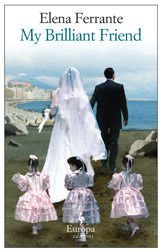 Gillian Dryden’s is not happy with the thought of changing herself to find a husband. In fact, she’s content with never having one. But for her mother and grandmother she has agreed to let the Duke of Leverton help her fit in better. But she’s not going to make it easy on him. Charles has no time for this silly girl, who is quick tempered and outspoken, but once he’s around her, he is quite intrigued and very much drawn to her. Now most of the time they mix like oil and water, but that is where the fun lies. No one can predict that words that will leave her mouth, or the behavior she portrays. For that day in age, some were rather cringe worthy. 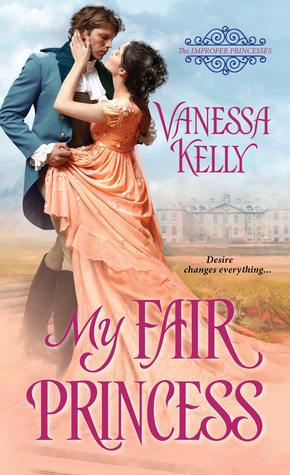 This book was by far the funniest historical romance I remember ever reading. The banter between the two main characters had me smiling almost non stop. It was a bit like enemies to lovers mixed in with friends to lovers. Banter all over the place. Two people, who are used to doing things their own, are now forced to work together for a common goal. Things are bound to get messy. This is my first Vanessa Kelly, but I know it won’t be my last. Yep. 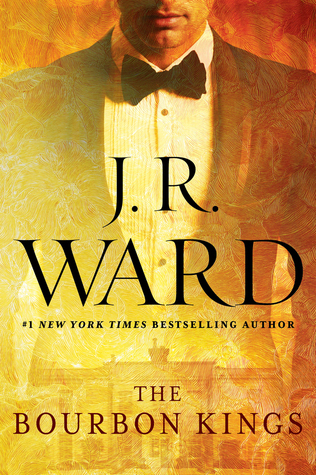 This is going to be another fun series by Ms. Ward. There is no better word, to describe this family, than to say it’s dysfunctional. I mean the stories and behaviors of these people are downright shocking! At one point I was cringing and then tearing up a bit. There are so many puzzle pieces that need to be found, it’s CRAZY!! I have so many ideas but when it comes down to it, I bet they’re all wrong. So I’m going to hold on tight and enjoy the ride. I’ll admit I was a bit lost and confused with the first few chapters. I’m so used to the BDB, so learning new names and places was a bit daunting for me, but then I figured it out. Watching the drama unfold was exactly like a soap opera would be. Intrigue, romance, lies, and above all, secrets. Lots and lots of secrets. I can’t wait for the next book!!! Okay, confession, I don’t even know what “beat lit” is….and if this is an example, I don’t want to know any more. Please don’t tell me it was the generation. Please don’t tell me it was a rebellion against society and the government. Please don’t tell me I don’t understand. It might have been different if all of what was portrayed was mutual and done with honesty between both parties…but to me it just stank of the selfishness of some parties on various levels…. I have missed William and Raven. So I was super thankful to receive an ARC and find out what happens. Between the Curia and a traitor in the midst of the Consilium, it’s up to William to do what needs to be done to protect his city and the woman he loves. But in doing so, he may lose the Raven, no matter what he does. He’s caught between a rock and a hard place. I’ll admit, I was a bit overwhelmed with all the character names, since some had two, and kept having to go back into my notes to recall who was who. All the while trying to figure out who was the traitor. But let me tell you, I was wrong in my guess. For some reason, I wasn’t pulled into this one as much as The Raven. Perhaps it was more suspenseful and less sensual. Now, don’t get me wrong, there was romance, but not like Gabriel’s romance. Heck, I doubt anything is like Gabriel’s romance. But this was more about solving the city’s problems and less about the romance. And that’s fine, but not what I was hoping for. But it was still very good and I look forward to the next one. Speaking of Gabriel, there was a few scenes with him that made me happy. However, seeing Gabriel scared wasn’t my favorite part. To me, he should always be strong and a mighty protector. Seeing him nervous and scared irked me. Not sure why. It was totally warranted. But I just didn’t like it. Silly me, I thought this was the last book. I was mistaken. So I can’t wait until the next book! William and Raven need a HEA. Well, I need them to, at least. 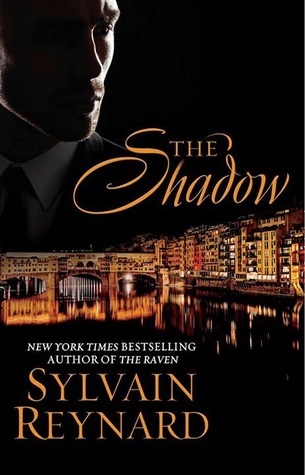 Buy The Shadow (Florentine series) . Get caught up with The Raven (Florentine series Book 1) .